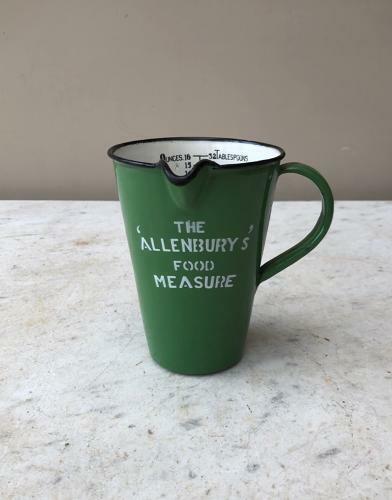 Fantastic Condition Early 20th Century Enamel THE "ALLENBURYS" FOOD MEASURE. Green outside and white inside...Measures in Ounces to 16 & Tablespoons to 32. These are often quite chipped but this is really lovely.